To save some time, we've put together this list of resources and downloads, all from our own blog and website. This is your one stop shop for our best inbound marketing resources - and they're all FREE. Which Is Best For Inbound: Agency vs In-House Marketing? A video, transcript and blog post. The video is of a talk Rikki, Digital 22 Director, performed at a national HubSpot event. This resource helps with all the basics you need to know when creating an inbound marketing strategy. It will help your campaigns be a huge success, by giving you the right foundations to start from. It helps you cut through all the less important/impossible to manipulate ranking factors and gives you 22 which are worth concentrating on. In-depth, but conclusive - blog post. Outlining lots of different scenarios this post helps you get an understanding of all the strengths and weaknesses of using agencies or staying in house to complete your inbound marketing. This definitive list helps you get all your on-page SEO well and truly sorted. One of our Consultants, Danielle, has gone into fine detail and shows you some helpful examples along the way. A list of over 70 myths, compiled by our own team and a range of different industry experts. It helps you get to grips with what's true and what's not in the world of SEO. Don't waste anymore time by following a piece of advice which is based on nothing more than rumour and hearsay. A pack of free templates. These documents are the same ones that we, a Platinum Partner of HubSpot, use for our own inbound campaigns. We thought we might as well share them with you, so that your inbound planning can get off on the right foot. A free, quick and easy downloadable sheet. 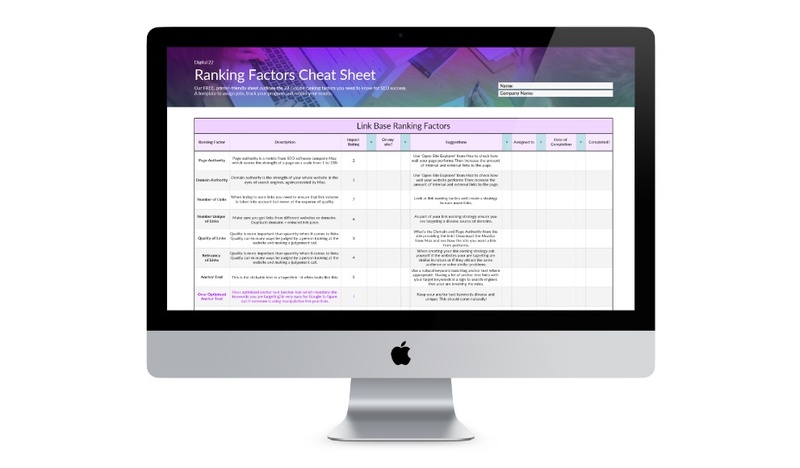 This gives you access to the 22 most important ranking factors, with expert advice, together in one document so that you can plan and record your progress. It's also printable, if that's what you prefer. Using a real life case study example of ours, we show you how we made a blog post go viral (well, in the inbound community, at least). This means you can try the same techniques for yourself. 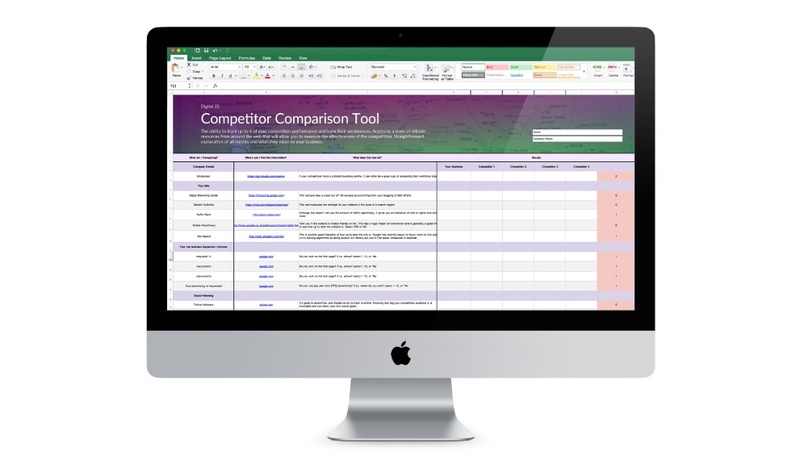 This tool lets you compare your site and business with up to 4 competitors at once against all the main KPIs that you should be concerned with. It explains all the metrics and how to use the sheet. Getting fully informed is the key to getting (and staying) ahead of the competition. A massive reference tool filled with less obvious and niche inbound marketing techniques. This helps you make sure you get more from your current inbound marketing efforts. There's extra insider tips and expert advice on everything from email nurturing to PPC. Book a 30 minute call with us and we can have a chat about your website and your business goals. If you need to run it by your boss first, we’ve prepared some information to lend a hand. Click below to download a pre-written proposal to win the support you need to work with a Platinum Inbound Marketing Agency.